Green Tour Kyoto would like to recommend a new way to escape from this heat summer. 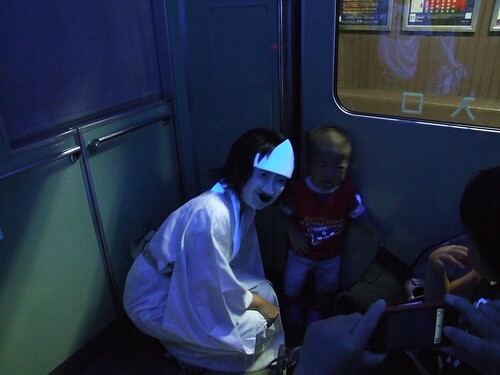 Japanese monsters will wait for you on four trains of Randen line and feel you cooooool!!!!! 1. depart at 17:54 from Shijo-omiya stn. 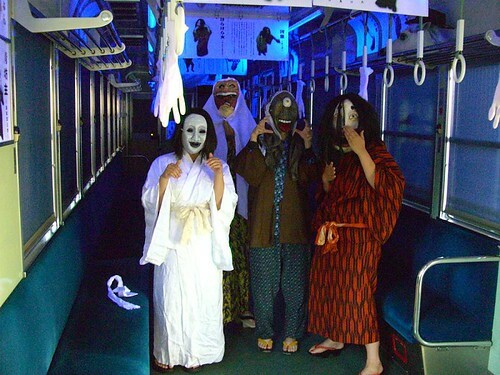 2. depart at 18:45 from Arashiyama stn. 3. depart at 19:24 from Shijo-omiya stn. 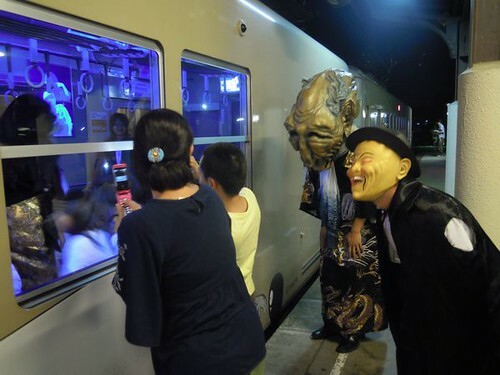 4. depart at 20:15 from Arashiyama stn. 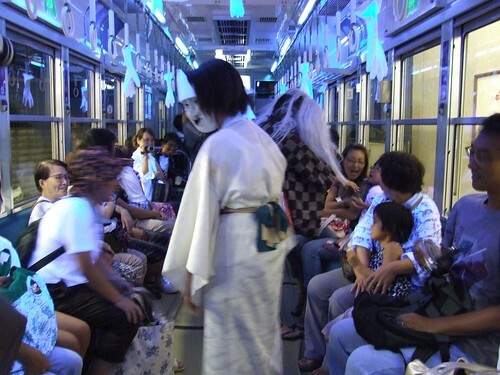 Fee: ¥200/adults, ¥100/kids, ¥50/people wearing yokai costumes. *This train will be chartered. 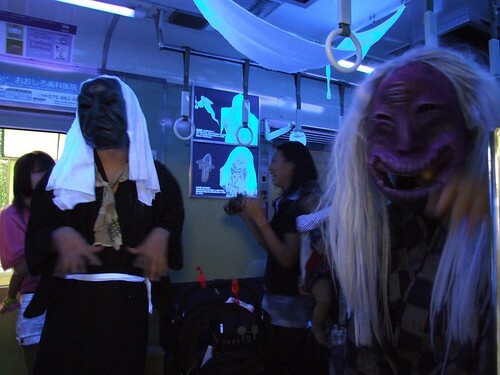 Every passenger can’t take these trains at the stations between Shijo-omiya and Arashiyama. You can’t reserve the train. Fast 170 passengers can get the ticket on each train.